There are 75 posts in this thread, and it has been viewed 23146 times. There's also files attached. * Please post the "evaluation" too that you get before you type your initials for the scoreboard after GAME OVER (in the game). It ranges from "Try again" to "President" . Also please mention the aircraft you used. 1. NEO-GEO Man: Score: 513,800. Played on JAPAN BIOS AES console ( no difficulty option on AES ) stage 1-5, Zero 52, done over by the 2nd part of the boss in stage 5. 4. shin0480: Score:365,200. Aircraft:F5U Grade:Beginner Mission/stage:1-4 Played on: MVS cabinet. 7. Will: Score: 289,400. , Aircraft: Flying Pancake. Defeated on Stage 3 by Zeppelin Boss. , Played on: MAME. Please post the "evaluation" too that you get before you type your initials for the scoreboard after GAME OVER (in the game). Nice pick priest! 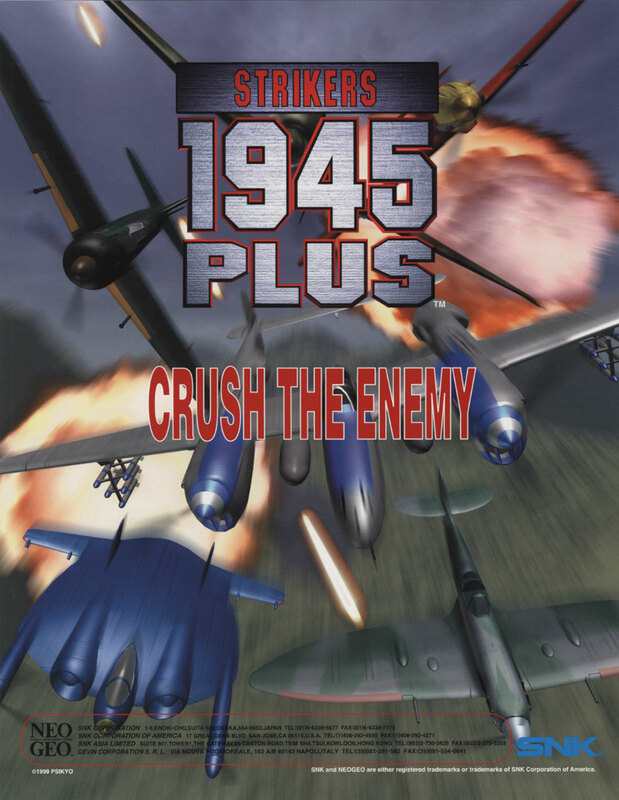 I love Strikers 1945+. It's my favourite Neo shmup. I'll definitely have a crack at beating your score a bit later! Good to see there are some love out there for this game. But it is my favorite shoot�em up for the NEO GEO so I have played it quite a lot. I agree this is a really great game. Recently I've really started to appreciate more just how good it is. It does get very difficult at times though. From stage 3 onwards the speed of the shots gets very fast. I always prefer using the Flying Pancake. I noticed that Furt4d0's score should be a little bit higher if you check the screenshot. Thanks Priest. Lol that sounds a bit painful! I was so close to the number one position. Thats a really nice highscore, Furt4d0. Do you feel like the choice of aircraft had anything to do with the score. I usually end up choosing the ZERO52, but I think I should try to find others that work just as well (or better). I guess its just a qustion of when Merlin tops my score and take the second place in position...Is the FLYING PANCAKE you favorite choice in this game or do you choose different aircrafts every time? Great score Furt4d0. I'm going to struggle to beat that but I'll have another go soon. Priest I always prefer using the Flying Pancake for some reason but I probably should use the other planes a bit more. I wonder if it makes any difference which one you use. shin0480: Score:365200 Aircraft:F5U Grade:Beginner Mission/stage:1-4 Played on:MVS cabinet. shin0480: Good job you�ve earned your first silver coin Another one who prefers "the flying pancake" eh? Thanks for presenting your score just the way I like it, just for me to copy and paste. Yeah.. I love playing with "the flying pancake". that's my favorite. I would definitely love to challenge some other games too. 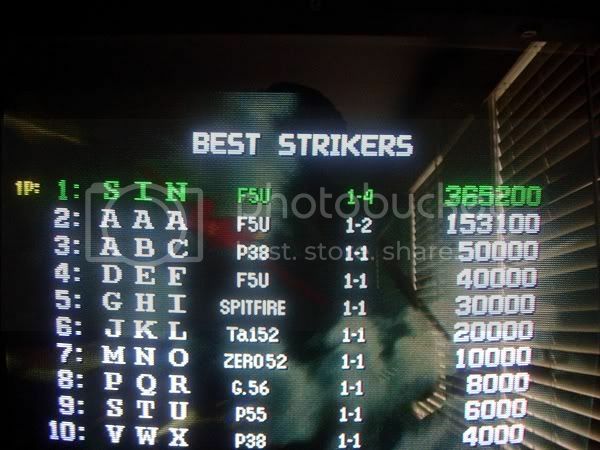 Hi My highest score Is currently 1-4 FSU 324800 On MVS. I can provide a photo and do take my gaming seriously so I use the default difficultly. Will you be starting a highscore challenge for NAM1975 and GHOST PILOTS soon?? 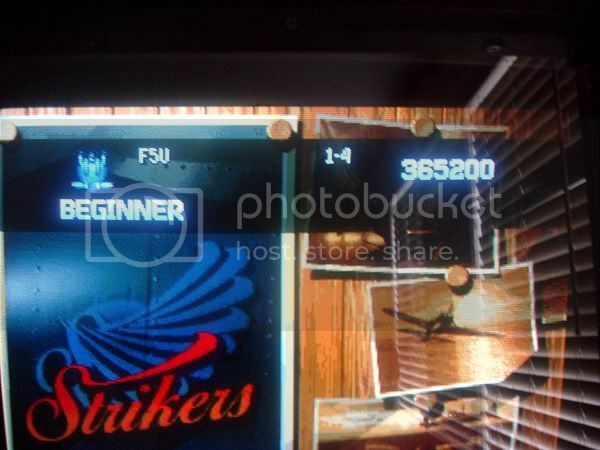 Welcome to the Strikers 1945+ scoreboards ArcadeMatt, Great game, eh? The bronze coin and the third place is yours. Scoreboards and hall of fame are updated.